Comments: Possibly signed Jacket shows mild wear Unmarked Solid Cover has mild wear Great copy overall. We take great pride in accurately describing the condition of our books ship within 48 hours and offer a 100% money back guarantee. 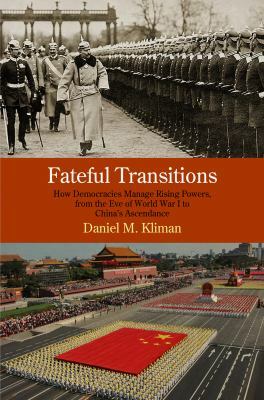 Kliman, Daniel M. is the author of 'Fateful Transitions : How Democracies Manage Rising Powers, from the Eve of World War I to China's Ascendance', published 2014 under ISBN 9780812246537 and ISBN 0812246535. Loading marketplace prices 3 copies from $44.25 How does the rental process work?